We say environment is everything because it truly is. Your environment builds your brand and culture & aides in employee retention and facilitates engagement. Actively disengaged employees cost the U.S. between $450-$550 billion each year in lost productivity. More than 90% of workers say that their environment boosts productivity. 40% of workers are happier when they can adjust their furniture. Employees who are satisfied with their personal workplace are less likely to quit. Anything from a simple refresh to a full redesign will give you some level of return. Schedule your FREE minute design consultation now! 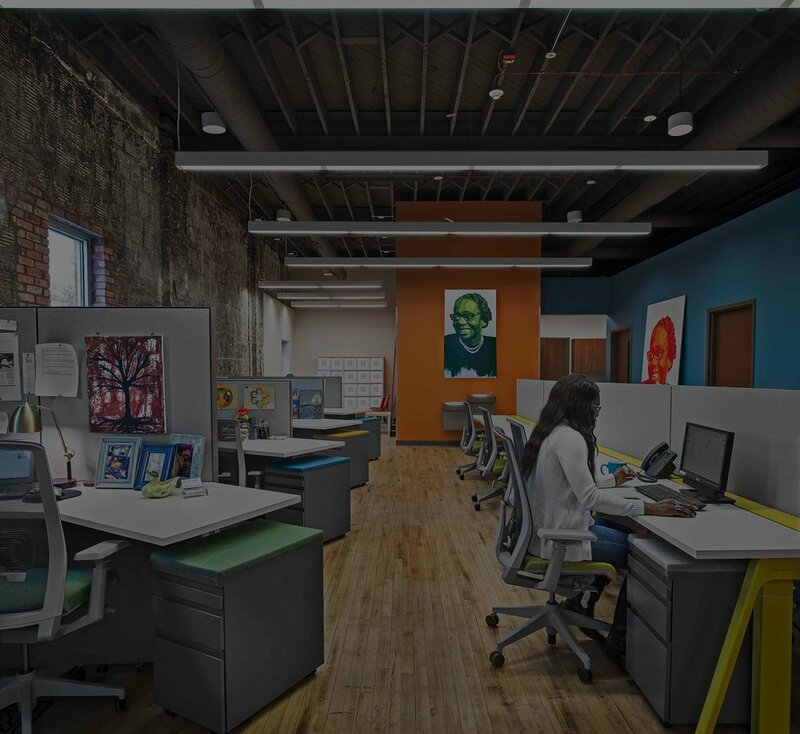 ISCG designs inspiring workplaces. Integrating holistic solutions that improve human, organizational, and facility performance, we'll help your company create a space that attracts and retains the best talent and maximizes employee performance and happiness.